I am SOOOOO super excited to post this today! I am literally jumping up and down and spinning in circles!! 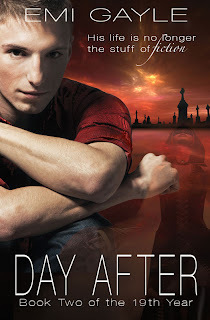 I LOVED Emi Gayle's first book, After Dark (The 19th Year, #1). It was just full of so much awesomeness (review to come). 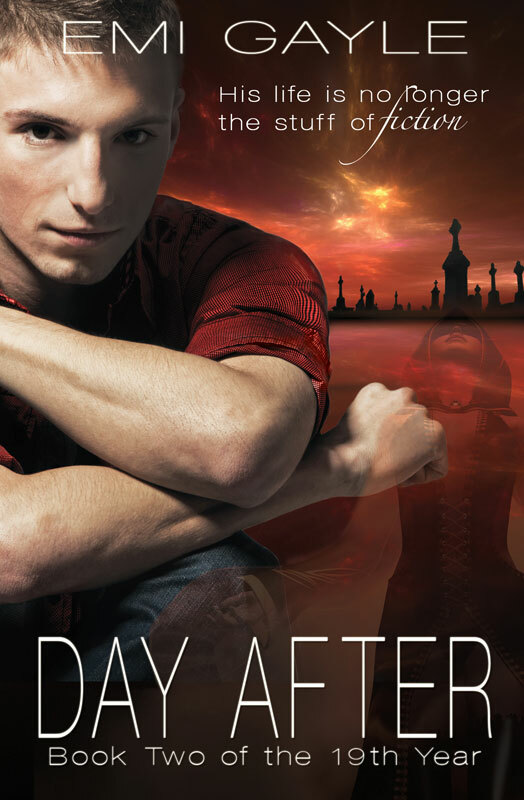 So it is such a pleasure to post the cover of her newest book, Day After (The 19th Year, #2)! I cannot tell you how excited I am to read this book. AND it's from Winn's point of view, oh I am swooning already. He is my geeky, nerdy, hot boy crush. My new books boyfriend. He is just, well, RAWR! I can't believe I have to wait until April for this. NOOOOOOOO!!! I need this book NOW! Book #1, After Dark, is set to be published October 31, 2012. DO NOT MISS THIS SERIES. It is full of total and complete awesomeness that will just blow you away!